Converting an idea into a reality (regardless of the required investment of time and money) is never an easy task. In fact, it is extremely difficult. 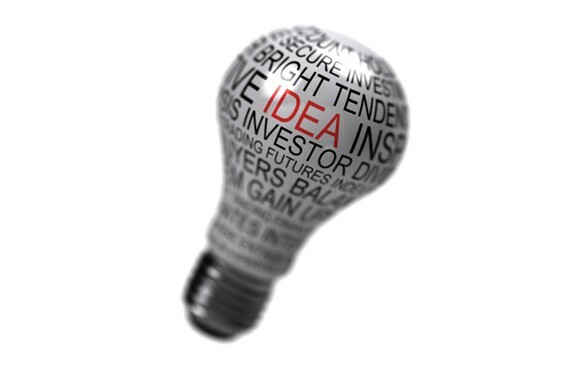 Whether you are an entrepreneur or corporate executive, “giving ideas life” is much like giving birth to a child. You must own the responsibility regardless of the circumstances. No one will ever understand your idea or the dynamics associated with it like you do. In this regard, you are on your own and the journey will require you to learn about yourself – more than anything else will in your career. The same thing holds true in the workplace – where according to a recent study conducted by my organization, the workforce is not innovative enough because we are trained and wired only to execute on what we are told to do. No wonder we are most proficient at completing short term, immediate tasks. On the other hand, employees are least proficient at multiplying the opportunities inherent in the initial task they were asked to complete. Yes, we should be concerned about our ability to remain competitive – as both individuals and in our organizations. Today’s fiercely competitive marketplace requires us all to either convert our own ideas – or be a part of converting someone else’s ideas – into a reality. If you are not participating in either of these activities, you must re-evaluate your purpose, what you stand for and your desire to be relevant. Everyone must be a part of cultivating innovation around the clock. You must begin to accept that embracing the entrepreneurial attitude is a requirement to cultivate growth and opportunity for the organization you lead and serve. Entrepreneurship is no longer just a business term anymore; it’s a way of life. You don’t need to be an entrepreneur to be entrepreneurial. Did you ever think that not being involved in innovative activities was irresponsible? Well, it is – not just to yourself, but to those around you. You can’t take action until you believe in yourself enough to handle the consequences of your decisions. Any time you assume the responsibility to give something that had not existed before an opportunity to become a reality – you become accountable for your actions. Accountability requires believing in yourself enough to be 100% dedicated to getting the work done. Most people fail to take an idea to fruition because the unexpected challenges become more than they think they can handle and thus they no longer want to be accountable. They lose the belief in themselves to see things through all the way to the end. In the end, carefully evaluate any input that you get – but proceed with your own gut instinct. Risk becomes your best friend when you give birth to an idea. If you can accept this fact, you will approach the process with a lens that keeps your dreams and ambitions in perspective and on track. When things don’t go as planned along the way, stay focused on the mission at hand and do not allow disruption to set you backward. Risk is normal and steps #1 and #2 will keep you looking forward. You often hear that “working hard” is an imperative to convert ideas into reality. But in fact, it is the most fundamental commitment one must make to assume any form of risk management. As such, you must find a way to make this level of commitment if you want to continue on the journey. Compromise is a choice, not a sacrifice. Don’t put too much pressure on yourself. Take the time to appreciate the journey and understand how things work. Most people are too anxious to get their desired results and thus start to make bad decisions as they go. One thing is certain: the journey will be filled with unexpected outcomes that you may not be prepared to deal with. Don’t let this get you down, but keep your head up and respect the process and where it takes you. You will learn a lot about your threshold of risk and ability. Equally, you will learn that many doubters are ready to stand in your way and may attempt to bring you down; this is when the ride gets uncomfortable. Constantly reevaluate those with whom you are sharing the journey (i.e., your inner circle). Converting your idea to a reality requires you to help others understand your vision. Selling vision is much like selling change. Clearly define your value proposition and how it can generate revenue. Selling lofty ideas without understanding how it will achieve financial results will never get you the right audience. The bottom line is what gets everyone’s attention (you can see this played out every week on the TV show “Shark Tank”). Simplicity is the key to selling the vision for your idea. Making it easy for someone on the “outside” to understand what you are trying to accomplish will create engagement and increase your probability of expanding buy-in for your idea. This skill comes into play when selling to possible investors. Learn how to sell your vision sooner than later. Don’t wait as it takes time to piece together and refine your message. Everything is connected to something else. Learn how to spot the paths of connectivity along the journey. What may be your “core idea” today can mature into something bigger as you connect other tenets that naturally associate with your idea along the way. For example, I launched a food business in 1997 called Luna Rossa Corporation. I started with a product line of specialty vegetables anchored by my flagship product of marinated artichoke hearts. The idea was to market a gourmet / higher-quality line of Luna Rossa branded products inside warehouse retailer Costco – which we successfully accomplished. Over time, this core idea led to gourmet line extensions that included pasta sauces, salad dressings, etc. We sold products to over 6000 retail stores throughout North America, eventually creating new brands and entering into licensing arrangements. Never stop connecting the dots! The pursuit of excellence requires you to unleash your passion. When you put your passion into everything you do, it gives you the power to become a potent pioneer. You will blaze paths few would go down, and see them all the way through to the end. Your passionate pursuit of converting your idea into a reality will open new doors to endless possibilities. Your ability to remain passionate about what you stand for is the ultimate enabler for the success of your idea. Purpose fuels your passion and makes your journey less lonely. Perhaps this explains why family-controlled firms outperform their public peers by 6% on company market value. Today, one-third of all companies in the S&P 500 index are run by families. Carefully identify all of your resources and build upon them via relationships, networking and sharing of resources to expand the opportunity for your ideas. Building momentum is critically important to convert your idea into a reality. Stay focused, stick to your plan, eliminate distractions and neutralize the noise. Remember to manage your time wisely and never get overly excited about new opportunities that stem from your original idea. Step-back, don’t commit too quickly, and understand how the dots connect. Building momentum has a lot to do with timing and the management and deployment of resources. Every resource counts. Know when and when not to use them so their value is optimally utilized at the right place and time. Never grow complacent. You can always expand upon your idea and make it better. When you begin to see how the dots connect, challenge yourself and your personal board of advisors to make your ideas even better. This is what Steve Jobs did with Apple, Pixar Animation and Apple again. Continuous improvements were part of his legacy. He never stopped thinking of ways to make his ideas better. The Japanese even have a name for it: Kaizen. No matter how smart, passionate, or focused you work, without balance we are all susceptible to burnout. Mind, body and soul must be properly aligned. Take the time to make work/life balance a priority. It will give you greater clarity of thought and help you keep things in perspective. Successfully converting an idea into a reality is a marathon, not a sprint. Pace yourself so that you can reflect upon the mission at hand. Always be aware of what you are attempting to accomplish. Don’t overwhelm your mind; give yourself some breathing room and allow your creativity to expand. Let’s say you made the commitment to assume the responsibilities associated with the first 11 steps and have already been successful. Your original idea was born and its impact has now morphed into multiple areas that you would have never thought possible at the beginning. You have “earned your serendipity” and the opportunities you have created for yourself and others have been momentous. The success of your idea is now real; it has become something more significant and it is up to you to make sure its legacy remains sustainable. Once you give your idea its life, it is your responsibility that its impact stays alive forever.